Here is the second image in this series. . . It was created by the elements, over an unknown period of time. This was taken in Florence, Oregon. 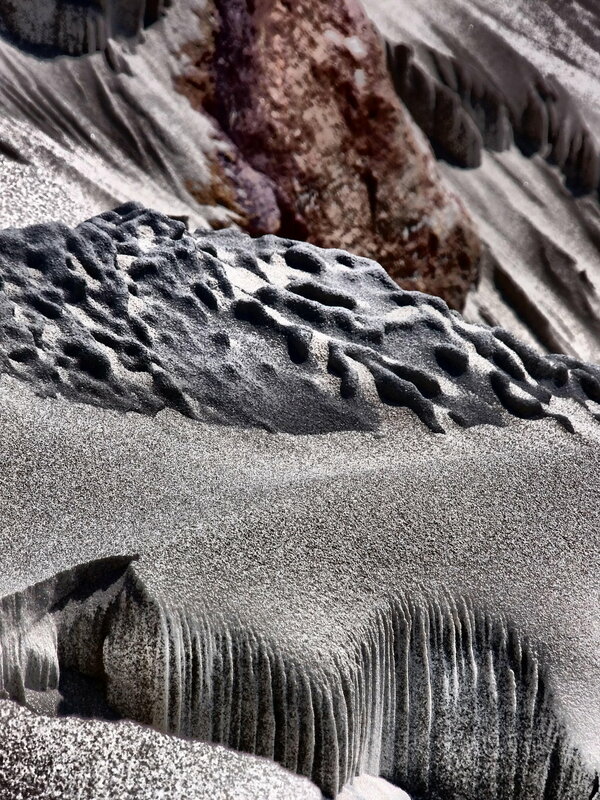 Wind and water erosion have created this abstract sculpture in the sand. I would love to have documented how it changed over the course of a week, but we were only there for the day. Wow, just wow. My first thought was: a rock, but the sand made clear there was more to it. Absolutely beautiful. Thanks :D. It was a stellar day for photos.